Looking over the questions in this article I found that I agreed with both answers offered. For example, I believe that Jesus is both the Lamb of God and the Champion of the Oppressed and any simple reading of the Gospels would reveal that both are accurate descriptions of Him. But in Christianity today such understandings of Jesus have become an either/or. I believe I was indoctrinated heavily with Jesus as Lamb of God being a good conservative Lutheran. But such a one-sided view began to change as I spent more time with the poor, a people that Jesus speaks much about and spends much time with. And I found that this began to change because I became familiar with their issues, their struggles, their problems. In other words, their problems became my problems. They were and are no longer “those” people that I need to help but rather my friends. But I say all of this because it caused me to look deeper at the Gospels, to search them and read them fervently, to look at other sources to deepen my understanding. And what I found has only served to deepen my faith and love for that peasant from Nazareth named Jesus. All of sudden, things began popping out to me in the Gospel of Mark like never before. I found Ched Meyer’s Binding the Strong Man and consumed it with a great ferocity because finally, I thought, someone gets it! And this brings me to this past Sunday’s Gospel reading from Mark chapter 12: 38-44 about the scribes and the poor widow who gives all she has to the Temple. The “Widow’s Mite” is a text that has been incredibly misunderstood and I am convinced that this is in part due to our American Middle Class sensibilities. I am personally convinced that Jesus wasn’t kidding when he said in the Gospel of Luke, “Blessed are the Poor.” I say this because it is the poor and the marginalized who will most likely understand the Gospel best because of their socio-economic condition. What I mean is that when one is on the “outside” one can more clearly see the facades and the myths of a society as they really are and this makes for muddy and grey distinctions. When life is good, fairly non-complex and predictable it’s easy for us to see the world in very black and white simple terms. In such conditions we can easily look at the poor as entitled, lazy and purely guilty for the situation that they are in. But anyone who is or knows someone who is poor or marginalized knows that it’s difficult and expensive being poor. Going further, there are sociological factors at play as well that prevent such persons from getting a leg up a lot of the time. Such cases are found in the Gospels from lepers, the sick like the woman with a bleeding problem, to the crowds who follow Jesus and, of course, the widow found in Mark 12. And yet we’ve taken the story of the “Widow’s Mite” to be one in which we should emulate. We assume that Jesus is speaking approvingly of her giving to a Temple system that he has shown to be incredibly corrupt throughout the Gospel of Mark. If you don’t think this system was corrupt please check out Mark 7: 1-13. Nowhere does Jesus ever give his approval to the widow’s giving. Rather all he gives is his commentary in which he states that the woman gave all she had, out of her poverty, while the others gave out of their abundance. Jesus never says whether or not this woman’s actions were good or that they should be imitated by us. In fact, the context suggests that Jesus brings this to the attention of his disciples to demonstrate the credibility about his point just made about the scribes who devour widows’ houses. Hence, “beware of the scribes who devour widows’ houses” so much so that they coerced them into giving all of their money to a corrupt Temple establishment. The widow’s actions are nothing more than a product of the misleading of the scribes who have taught poorly and taken advantage of the weak thereby breaking the Torah that they claim to uphold (Exodus 22:24, Hosea 4:6, Ezekiel 34). In other words, the scribes coerced this widow into giving when she didn’t have to give. Jesus, being the fulfillment of the Law and the Prophets simply exposes this! This woman’s giving is not a good thing for the very Temple’s needs preceded the needs of human beings like this widow. Remember Amos’ words to Israel, “I hate, I despise your feasts, and I take no delight in your solemn assemblies…But let justice roll down like waters, and righteousness like an ever-flowing stream.” Interestingly enough, the truth of these words were further confirmed by the scribe in verse 33 of chapter 12 when he says to Jesus, “You are right Teacher…to love one’s neighbor as oneself, is much more than all whole burnt offerings and sacrifices.” With this teaching about the widow’s giving the Markan Jesus leaves the Temple for the last time and immediately prophesies its destruction. But why have we missed this and totally misunderstood the text we have referred to for years as the “Widow’s Mite”? Why have we looked it as an example in regards to giving instead of taking and stealing? Why have we for so long assumed that Jesus approved of the woman’s giving when the text gives no concrete evidence of such an idea? Well, I am going to go out on a limb here and try to answer these questions. Right away a few things come to mind. First, I think that we pastors and scholars all too easily assume that the church fathers already have the answers to the given texts. Mind you, there is great comfort in our catholicity but it also can lead to laziness and the assumption that we have everything figured out already. We must also remember that the likes of Augustine and those following him (as well as before him) were divorced from the Middle Eastern context and most likely have missed certain social, economic and political factors that we are now aware of today. One example of this is what we have come to know as the traditional Christmas story which is derived from a text known as the Protevangelium of James. The author of this text was not familiar with Palestinian geography or Jewish tradition and as a result we have come to believe things about the Christmas story that probably aren’t true. 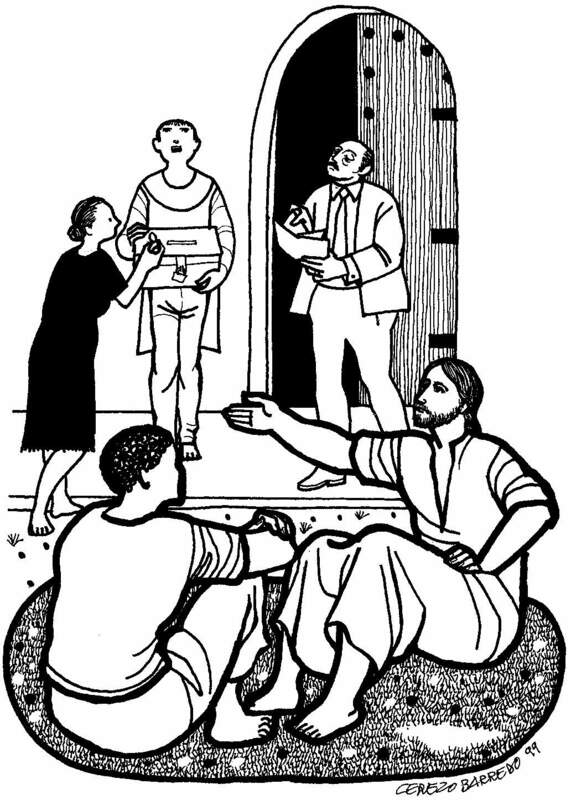 For instance, the idea that Joseph and Mary couldn’t find a place to stay because we have translated Luke’s Gospel as stating that “there was no room for them in the inn.” But the word for “inn” (katalumati) is more accurately translated as “a place to stay; an extra room.” The Middle Eastern mind would most likely have known that that meant that there was no room for them to sleep in the extra room and therefore they had to sleep in the stable section of a Palestinian home. As you can see, being aliens to the Middle Eastern contexts and traditions we can miss a lot. But now moving on to my next point, I think that how one lives and spends their time effects how they read the Gospels. A scholar who is immersed in academia is most likely not going to notice certain radical nuances of Jesus of Nazareth. A PhD may not be as credible as we have been led to believe. Furthermore, we must remember that those who are doing so within the confines of a particular denomination like the LCMS may be inclined to “put up and shut up” due to confessional constraints. Jesus was on the ground living and breathing with people, more specifically with the poor, the marginalized, the outcasted. Any pastor can tell you how much serving and being with the people effects one’s views on the ministry, the Scriptures and the human condition in general. Next (as indicated by the previously cited CNN article) we American Christians tend to see Jesus in one of two ways, either as savior or as liberator/great teacher. 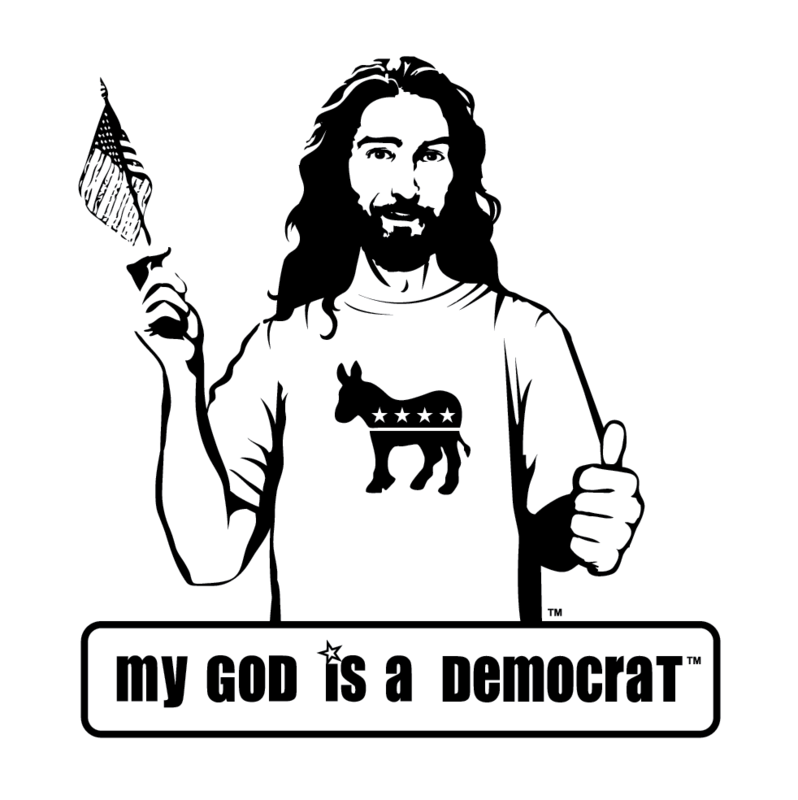 There is a clear dichotomy between the ways in which we view Jesus which, in my opinion, is indicative of our politics but also our separation between church and state sensitivities. As a result, we conservative Christians tend to relegate Jesus to the realm of savior and savior only. We Lutherans love to emphasize the Cross in salvific terms but only in the “Jesus died for my sins” kind of way not really thinking out the actual implications of what the Cross meant to the 1st century Christian in socio-political terms. In part, this is because of our Two Kingdoms doctrine which makes a clear distinction between the realm in of the left (worldly) and the realm of the right (spiritual). Therefore, when anyone speaks in a way that may smell of social gospel leanings that person is immediately viewed with suspicion and often times written off due to liberal Christianity’s views on the Resurrection and a host of other issues. Therefore, we have great polarity on the American Christian landscape. Some believe that Jesus truly rose from the dead while others don’t. Some believe that Jesus was mainly concerned with the oppressed while others believe he was mainly concerned with saving us from our sins. But nonetheless we rarely see a Christian that espouses both views believing them to be consistent with the person and work of Jesus of Nazareth. And this leads me into my last point. If the the text is perceived in an either/or manner in which it’s over mythologized or under mythologized then we fail to truly grasp the humanity of Jesus and the world in which we encounter in the Gospels. 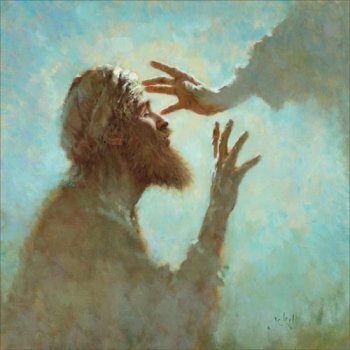 In other words, if we see Jesus as only concerned with the spiritual realm performing miracles for the sake of only displaying his power or if we don’t believe at all that he did such things and that they were made up by the Gospel writers then we lose the force of Jesus and those around him as real life people with real life problems much akin to our own. Jesus ends up being relegated to a “spiritual” world in which he has no effect on the concrete world around us. In other words, the Kingdom of God is still off in the distance. We believe that Jesus has died for our sins but his life and work, what he taught, how he acted has no real bearing upon us. In some ways it could be said that this is the result of taking Luther’s doctrine of the Two Kingdoms too far. So fundamentally the problem with the either/or viewpoints is that they both do the same thing to Jesus, they minimize who he is. One minimizes his humanity, the other his divinity. For both the Resurrection reality is not a reality as revealed by the Gospels but something that isn’t possible or is something that is off in the future. And so I believe that we must let the Gospels speak to us instead of trying to compartmentalize them within our own doctrinal categories. That’s not to say that our doctrinal categories can’t then fit into what we find but we must be honest and work with integrity and a level of child like innocence (Mark 10:13-16). It causes me to think of Saul of Tarsus who had all of the Scriptural knowledge in the world being a Pharisee. Yet he did not know Jesus or the Scriptures truly until he met Jesus on the road to Damascus. It was there on that road that the veil that covered his eyes to the Truth was lifted. May it be so with us. May the Lord lift the veil of culture, of tradition, of worldly and elementary principles from our eyes so that we can see and know Jesus more clearly. Next Post What Does It Mean To Be Pro-LIfe?